MANCHESTER - A Connecticut restaurant known for its unusual cheeseburgers is getting some national television exposure. The Journal Inquirer reports that Shady Glen in Manchester will be featured in an upcoming episode of the Travel Channel's "Burger Land." 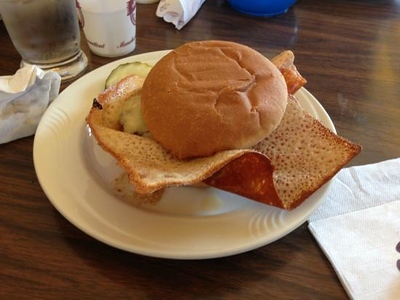 The restaurant is known for frying the cheese in its cheeseburgers until it is crispy. The James Beard Foundation named the burger an “American classic” and Food Network Magazine has recognized Shady Glen's chocolate chip ice cream as Connecticut's best frozen dessert. Posted in New Britain Herald, General News, State on Tuesday, 11 September 2018 12:26. Updated: Tuesday, 11 September 2018 12:28.